The difficult challenge of teaching reading, writing, and speaking in addition to social studies content and skills. Most teachers look for opportunities to reflect on their practice—what we hope will go well, what we plan to improve, which lessons we’re excited for, and which we’ll revise or scrap altogether. Right now is a great time to do this in the social studies—whether elementary, middle, or high school, in history, geography, or government classes—because there are ongoing changes when it comes to teaching academic and discipline-specific skills alongside traditional content. Universal skills like reading, writing, and speaking should be applied by students across disciplines and departments. Students should be practicing at least one of the three in every class, every day. But assigning a reading and telling students to talk or write about it is not enough. We need to continue to teach kids how to read through the years—helping them advance in using literacy strategies, annotating, or taking notes. The same goes for speaking, in small- and large-group discussions, delivering speeches, and debating. And the same also goes perhaps most importantly for writing: how to summarize, paraphrase, quote, explain, analyze, persuade, and so on. 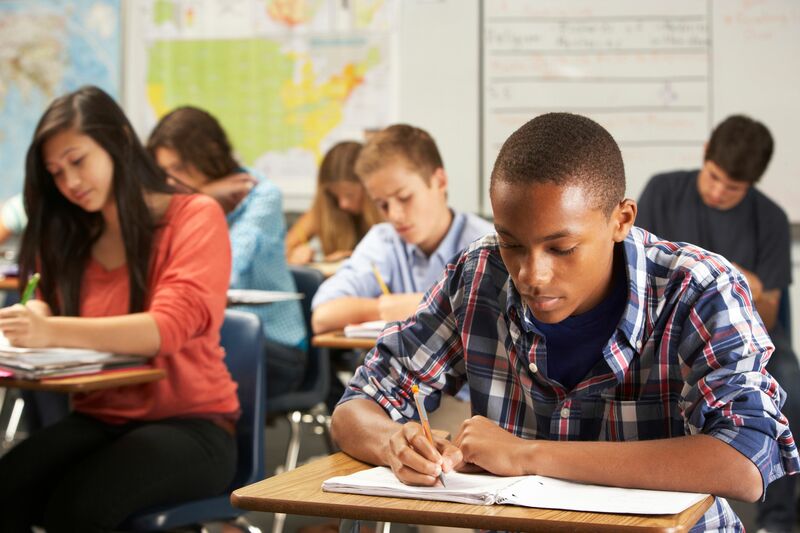 These academic skills take consistent practice to master and should be taught regularly in all subjects but particularly in the social studies because social studies provides such a rich opportunity for skill development—students can learn how to think and read critically, how to speak and write persuasively, how to corroborate sources and make and defend an argument. It’s also important to integrate discipline-specific skills like historical thinking. These skills continue to grow in importance, as the College, Career, and Civic Life Framework of the National Council for the Social Studies attests. The need for historical thinking skills and historical literacy has been promoted by Sam Wineburg and the Stanford History Education Group as well as Peter Seixas, University of British Columbia professor and director of the Historical Thinking Project. It’s imperative, Wineburg and Seixas say, for students to learn how to examine primary and secondary documents and evaluate diverse sources for perspective, veracity, and meaning—the real-world work of history professionals. All of which presents opportunities for reflection as we think about curricular changes to incorporate, like how we can most efficiently teach content and academic and discipline-specific skills, how much weight each deserves, and whether emphasizing one necessarily means excluding the others. I don’t think we can afford to exclude either, and the answer, I believe, lies in teaching skills through content. It’s possible to learn content and skills simultaneously by using the former to practice the latter. Teachers can layer over and around their social studies units any number of discrete skills. For example, we can teach students how to answer document-based questions (DBQs) in World History by using DBQs involving Asian colonialism. We can teach them how to write persuasive essays in American History over the course of several lessons on the Great Depression. And we can teach students how to deliver an effective public speech during a Geography unit about ethnocentrism and cultural pluralism. Students can practice key academic skills while learning academic content. The same holds true for discipline-specific skills like Seixas’s Big Six Historical Thinking Concepts: establish historical significance, use primary source evidence, identify continuity and change, analyze cause and consequence, take historical perspectives, and understand the ethical dimension of historical interpretations. Students can practice these mental tools of the historian every week, or at least multiple times per unit. While learning about the 1920s in U.S. History, for example, students might focus on continuity and change to analyze what has stayed the same since the Harlem Renaissance and what now is different. In a World History unit about political revolutions, students might work with cause and consequence to determine why revolutions are successful in some countries at certain times and why they manifest as mere uprisings in others. Or when considering primary source evidence—say the Black Panther Party’s Ten-Point Program—students might use the Stanford History Education Group’s historical thinking chart (pdf), which includes sourcing, contextualization, corroboration, and close reading. It may help to visualize the relationship between universal skills, social studies skills, and social studies content as a three-circle Venn diagram, each sphere at once overlapping and distinct. Ideally teachers will include all three circles or domains in every unit—if not every day then certainly every week. If spending time focusing on skills makes you anxious about allocating less time to learning new content, know this is a difficult decision with few clear or prescriptive answers. It’s not possible to teach everything about all that has ever happened, but hopefully by helping students acquire the skills needed to analyze and interpret new information as they navigate the world, we’ll be setting them up to successfully live within it. In my own practice, I often consider how best to achieve the appropriate balance. Reaching the high bar of ensuring that students learn both skills and content can sometimes feel like aiming for a moving target, but I shoot for teaching both at least every week if not each day, and including both skills and content in formative and summative assessments.